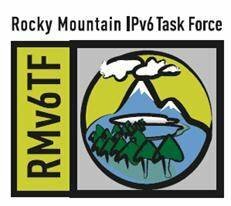 Find out what makes learning IPv6 difficult for enterprises and what they should know about migrating to the new protocol, from Rocky Mountain IPv6 Task Force Chairman Scott Hogg. SearchEnterpriseWAN.com spoke with Rocky Mountain IPv6 Task Force Chairman Scott Hogg, to find out what makes IPv6 learning so difficult for enterprises. Read part one of this Q&A to understand the reasons why enterprises should prepare for IPv6 now. What aspect of IPv6 are people most ignorant of? Why is learning IPv6 difficult for enterprises? Scott Hogg: They lack the ability to think of addresses in the hex characters. IPv6 addresses are represented as 8 chunks of 4 hex characters (in each chunk), and people tend to think in terms of decimals. Our money is in decimal, our weight and the measure we deal with is decimal and this makes us used to thinking in terms of decimals. We're also used to thinking of addresses in decimals, because v4 has [a] quad-dotted [notation of four] decimals. So we need to think of addressing strategies in terms of in hex characters. I find a lot of people have a tough time dealing with IPv6 addressing plans, and that's really the first thing an organization would encounter, [but] they don't know how to build an addressing plan effectively, because they want to think in decimal and these addresses are laid out in hex. Addressing is a big [IPv6 learning] issue for companies. They need to rethink how they treat addresses and how they might address their organization. They may break from tradition. If they've been used to thinking about addressing and networks based on their current topology or geography, they need to get out of that mindset and think about new ways they can use IPv6, and that would change the addressing plan. What do you mean? You need to update your network topology for IPv6? Hogg: You do, because IPv6 will run along the network plank you have today. But you may address them differently than you do today, because of the hex characters and the way you allocate them. You may be concerned with scarcity of addresses and be frugal in your use of IPv6 addresses, but companies can be a little more open to using [more] IPv6 addresses. Other things organizations struggle with in terms of their learning IPv6 is the structure of the protocol—how it works, how to configure it—they're lacking some [IPv6] basics. They might have gone and heard a lecture on IPv6 five years ago, but then nothing ever happened with it, so they forgot what they learned. Or they [might have] bought a book about IPv6 eight years ago. Now they probably realize that that book is a little out of date, because some things have changed and they haven't kept up with it. Or they read about it so long ago and then they forgot what they've read, because IPv6 has been coming any day now for 10 years. So they've forgotten some of the fundamentals about the protocol. It's hard to say that IPv6 is still emerging because it's been around for easily 10 years in an implementable state. It's given IPv6 time to mature, which is good. You can't just swap out something as massive as a network layer protocol—IP—for a version that isn't solid. What has changed in the protocol from 10 years ago that people need to be aware of for IPv6 learning? Hogg: Initially, when IPv6 was developed in the mid-90s when the basic structure of the protocol was formed, we thought there were some things that were some good ideas. Then we came to realize in the last 10 years that those probably weren't the best ideas. So IPv6 has had enough time to mature, but there are actually some parts of the v6 protocol that have been turned off or people have been told not to use these functions—like a routing header [of] 0 or a DNS resource record types, like ASCICs and different ways to do pointer records that have fallen out of favor. Certain IPv6 addresses were allocated for use by companies and they realized that wasn't such a good idea—FEC 0 addresses. So v6 has had more time to mature, and that's a good thing. Get IPv6 explained in this quick primer or view our IPv6 tutorial for more in-depth information. For further IPv6 learning, read this Q&A with Scott Hog, Rocky Mountain IPv6 Summit chairman, on IPv6 training or return to our 2011 IPv6 Summit conference coverage page.